It is said that an image is worth more than a thousand words. 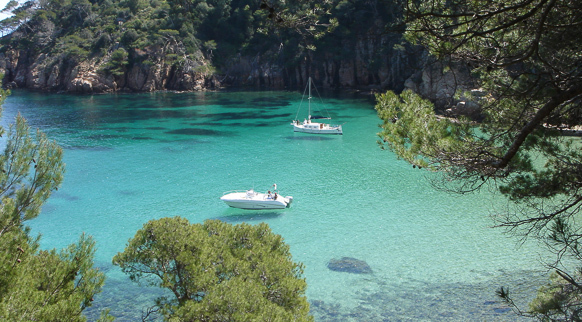 Therefore, take a look at the results of searching for images of Costa Brava bays: steep cliffs, crystal clear water, golden sand, exuberant plant life, and so on. And if the picture postcard leaves you breathless, just imagine what the reality is like! 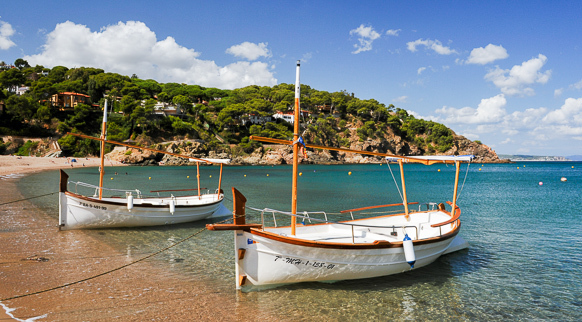 You will be able to find the authentic essence of this landscape in the coves of Begur, (Aiguafreda, Sa Riera and Sa Tuna) and Palafrugell (Calella, Llafranc and Tamariu). If you enjoy panoramic views, climb up to Sant Sebastià Lighthouse, in Llafranc, from where you will have an impressive view 167 metres above sea level.